A Credit Card is required for online Enrollment. The name on the account must be an individual, not a business. Select a Personal Identification Number (PIN) using four numbers and note it in a safe location. online or discuss it with the Customer Service Centre. Work Phone - - Ext. List all vehicles that will use a MACPASS® transponder. Use this calculator to estimate your inital pre-paid toll requirements for the first month. Subsequent monthly replenishment amounts will be calculated based on actual usage and sent to the contact on the account each month. The minimum amount required to open an account is $15.00 per transponder requested. The initial payment is determined by the number of transponders requested and the prepaid toll amount required. Your credit card will not be charged until you complete all required information and click the Submit Application button below. Before submitting the application, print a copy of this page for your records. Accepted for initial payment and future prepaid toll payments. PAD: requires credit card for initial payment. I authorize MACPASS to charge my credit card the initial payment amount,and to also charge the replenishment amount shown below whenever my prepaid toll balance drops below the threshold. Please note that the amount we request varies depending on how much you use the MACPASS. The usage is based on a three-month average. When your account goes below 1/3 of your calculated average, your credit card will be charged that amount. Please enter your credit card information below.You can add additional cards or change to a different card for future payments any time after your initial enrollment. 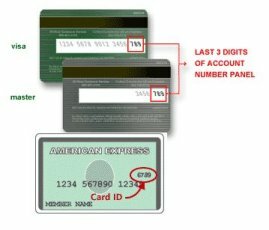 CVV2* Where do I find the CVV2 Number? The CVV2 number is printed on the face of American Express cards (four digits, to the right of the card number) and on the back (three digits, in the signature block) of MasterCard and VISA cards. I authorize MACPASS to charge my credit card the initial payment amount indicated below, and to also charge future replenishment amounts as determined by my average monthly usage, using the Pre-Authorized Debit information provided below. Pre-Authorized Debit replenishment occurs monthly on the PAD Charge Date indicated below, as long as my prepaid toll balance is below the replenishment amount. When choosing this option please ensure that your initial payment indicated below is enough to cover a minimum of one full month worth of bridge tolls to ensure uninterrupted service. Please enter the account number, financial institution number, transit number and pre-authourized debit (PAD) charge date below. Choose a replenishment amount that reflects your approximate monthly toll usage. This amount will be used as your initial replenishment amount but may vary as your average monthly usage is re-calculated. If you pay by credit card, then this amount will be charged to your credit card when your MACPASS account balance reaches 1/3 of your average monthly usage. If you pay by PAD, then your average monthly usage will be charged to your bank account every month on the PAD Charge Date you have selected above. I agree that participation in the MACPASS® program is subject to the Terms and Conditions, as amended from time to time. For further assistance, call the MACPASS® Customer Service Centre at (902) 463-3100. We take all reasonable precautions to ensure that your personal information is treated with the utmost security and concern. Our systems use the latest data encryption methods, and your personal information is never carried across the Internet without this protection. Your account information is only used by the MACPASS, and we do not give or sell your information to ANYONE. All account holders will regularly receive a statement detailing toll activity as well as other charges and payments unless they opt out by selecting 'None' in the Statement Delivery section above. Current or historical statement information is available at any time using the Statement Information link on this web site. If you need assistance in completing this application, please call (902) 463-3100 to speak to a Customer Service Representative. Note: The privacy rights of on-line visitors to our website are fully protected by Nova Scotia's Freedom of Information and Protection of Privacy Act. Any personal information collected from visitors relates directly to the operation of programs and will not be used for any other purpose. To obtain access to or correct personal information you have submitted, please contact the MACPASS Customer Service Centre or phone (902) 463-3100 to have personal contact information amended.